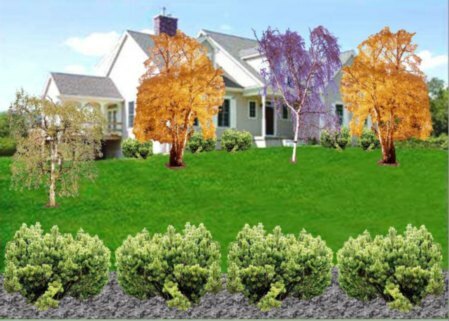 Landscape Vision�Landscape Design That Anyone Can Do! 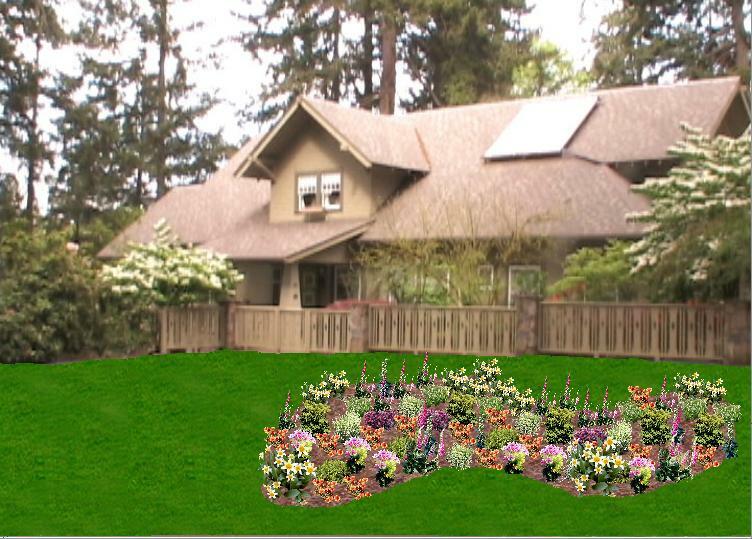 Landscape Vision lets you add real plant images to your own house and property photos, like we did above. The reason the plants look so real? They're real photos! And Landscape Vision has over 1000 of these wonderful plant images! 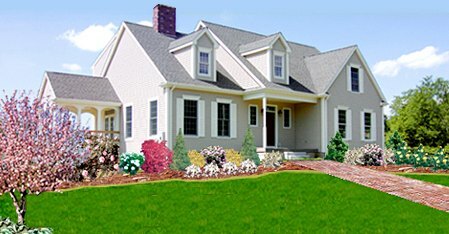 Landscape Vision pictures can be used to impress visitors on websites. Just remember to reduce the sizes of your Landscape Vision creations with Resample, not Resize, in your graphics editor. All the plants in the photograph above are Landscape Vision images. We also added the mulch beds. The mulch and plant adding process took only a few minutes. Landscape Vision has got to be the easiest program we have ever used! 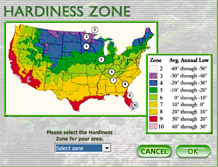 And Landscape Vision has the biggest plant database available, which includes images and data for each of more than 1000 plants. 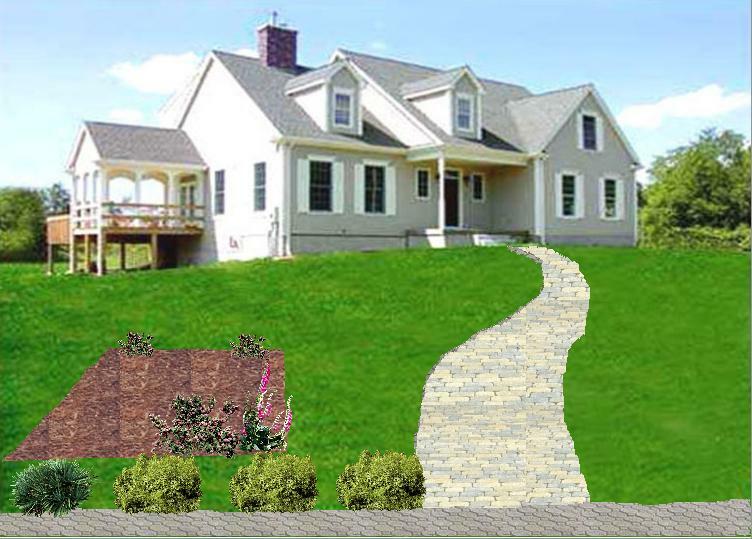 Landscape Vision is fast becoming the preferred landscape design tool! 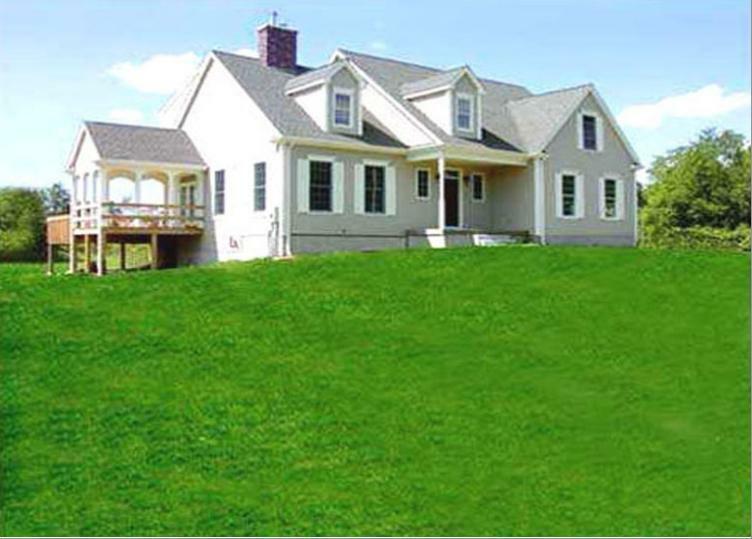 Load photos of your property you�d like to landscape: Front Yard, Back Yard, Pool Area, YOU NAME IT! Choose from literally thousands of outdoor living products: Patio Furniture, Arbors, Outdoor Fireplaces, Bird Baths, Fountains, Pavers, Gazebos, and lots more. If you ever have questions after purchasing this software, use this email address. Here is a completed Landscape Vision design. Using this same photo, let's try a different landscaping approach, completing it in 3 simple steps. 1. 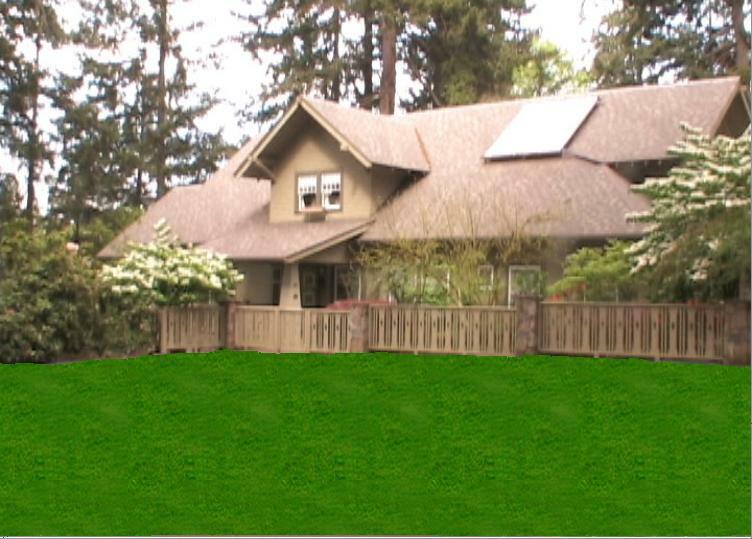 Load a house and property photograph into Landscape Vision. 2. Draw walkway, road, and garden outlines, then fill each with an appropriate fill pattern. 3. Finish your Landscape Vision creation by adding shrubs, trees, and flowers. 2. Draw a garden outline, then fill it with a mulch pattern. Now add lots of flowers. 3. 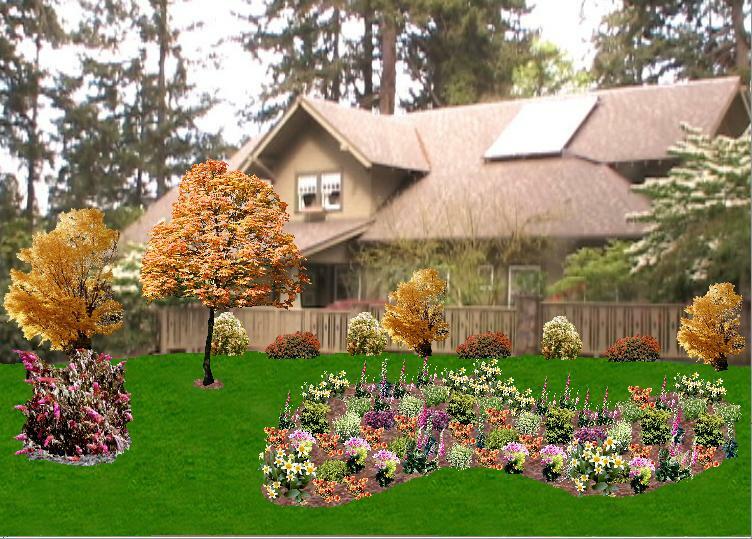 Finish your Landscape Vision creation by adding shrubs, trees, and a few more flowers.